Off course, that is totally irrelevant, so good those videos! You need to start getting out there! I think you have an amazingly niche space here since a lot of us in the Indian set up try to emulate recipes of which ingredients are either expensive or not available or the size of our ovens (pitiful), the size of the ingredients too (like chickens elsewhere are gigantic!). By using say Indian stuff, you can reach a huge audience. Oh this is interesting. Im going to skip the chilli powder and go the dhaniya powder way next time. And yes, youre right, I think everybody has their way of making cutlets. I learnt this from my neighbour who is Anglo/Goan, and even her recipe is an adaptation I think. And about the yellow cake, I have to say (and Im going to put this down in the recipe whenever I get down to posting it!) it didnt taste as yummy the next day, mainly because it dried out. Its eggless, and best consumed same day when still warm. You should really spread the word about these videos to get more and more people to watch’em, if you haven’t already that is. They are top notch, the very best recipe videos I’ve seen. And what’s funny is that I don’t even cook that much, yet I watch them. Good stuff, miss. I’ve only shared them on fb and here. Not sure how many people that reaches :) And thanks for the very generous praise, the husband will be very happy to see this — he’s using these foodeos as assignments to teach himself filming and editing techiques. I know what you mean :( I’ve neglected blogging too. Its so much work and consumes so many hours. sigh. oh well at least i’m drawing and you are cooking. videos looks great. you should be a vlogger! Actually the lull in food blogging has seen me blog here more willingly, without much effort, and far more frequently than I have in a while. 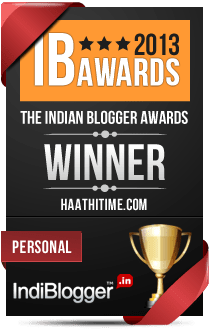 Its foodblogging in India — Im not entirely pleased to call myself a food blogger anymore, given the company Im in, and some things that have been happening. Makes me cringe a bit to be categorised with the lot. And I think thats the underlying reason why I’ve been just turned off..
Maybe you’re a vlogger now? Hahaha. Only until VC obliges to lend his skills. This is frankly too easy for me. And suits my current lazy streak perfectly. I just have to cook as I would on any given Sunday. And he does the rest. But i fully expect him to get bored/tired one day. And then what! I was wondering if we could see some behind the scenes/ gag reel/ unedited videos as well..
OMG you wont believe it. We were going thru some of the footage on Sunday and the thing is VC just keeps shooting even without warning me and others who may be in the kitchen, so he has a lot of candid stuff that is unplanned (unlike the cooking, which is pretty organised and planned for the shoot) and I told him he must do a BTS or a bloopers cut of the best fun footage sometime soon! Maybe I will get him to do this soon.